Setting off from my north London home for the Tube towards Heathrow, my eighth visit to Colombia began as soon as we’d checked in for the first flight to Bogota, the Colombian capital. Since we were jetting off in the nighttime, I wouldn’t have to worry about how to keep myself entertained for ten hours straight. Even so, I was awoken at certain times during the flight to eat some breakfast or watch some films on the screen – one passenger sitting in front of us was even watching the 2016 Jungle Book movie. I kept regular track of the plane’s flightpath towards Bogota to count down the time to landing and pin down its geographical location. After quite a long night of flying, we touched down in Bogota at 4am local time (about 9am in London) for our connecting flight to Pereira later on. Our flight to Pereira left at 7am local time, and took just over half an hour (to travel by car, it would take nine hours, because of all the mountains in the way!) On landing, I met some of my Colombian family, including my aunts and grandmother Stella, who is now the last surviving grandparent in my extended family, and our 11-year-old black Labrador dog Nico. For the first few days of our month-long stay in Colombia, we moved all our baggage and things into a new apartment we’d rented out as our holiday home, visiting Stella’s apartment almost daily while we settled in to our own. I started making use of my new art journal, doodling some genderbent Maritime provinces and alternative outfits for Halifax and Dartmouth from the IAmMatthewian Project/Project Canada. Once we’d had our apartment sufficiently furnished enough to sustain us for the next month or so, we could finally start to explore Colombia’s coffee-growing region in depth. In the town of Santa Rosa (de Cabal), we ascended some breathtaking mountainous landscapes nearing the hot springs and tasted some of the famous chorizo sausages the town has become known for. I even briefly visited my father at his ‘new’ home (even though he’s been living there for ten years now). For one day, we visited the nearby town of Chinchina, where I temporarily set up shop at my auntie Silvia’s apartment (she is a writer and has had several of her own books published, so I may one day go down her path). I even re-discovered one of my father’s books and found a rather interesting mix of Nova Scotia and Newfoundland in one picture. We went to Parque Comfamiliar Consota, a huge park just outside Pereira with a zoo, swimming pools, fishing and boating lakes and sports courts, where we saw all sorts of farm animals like pigs, donkeys, horses and chickens. There was also an aviary where pheasants, ducks, geese, lorikeets (small parrots), cockatoos and even pigeons were kept, and an aquarium with lots of tropical fish, including the real-life Dory from the Disney/Pixar films Finding Nemo and Finding Dory. Once we’d toured the farm, we had a good swim in one of the pools, but not before it started raining! Later on (when it thankfully brightened up a little), we ascended the mountain road up to the small town of Marsella, named for Marseille in France (there’s even a football shirt in the Casa de la Cultura museum which was given to the town by the Colombian ambassador for France). We enjoyed even more vast mountainscapes like we did in Santa Rosa, both on the way up and on the way down, with the added allure of the red sunset. Here, the Humberside Boys don’t seem to be causing any trouble, as they usually would do; instead, the people they’re supposed to be intimidating with their very presence are making a mockery of them. While they were on their way to make some mayhem, the Humberside Boys got caught up in a joke shop and ended up in clown suits, complete with squirting flowers, bowties and colourful pointy hats, so the crowd think they’re at a circus, which is why they’re all laughing. Grimsby (in the white tuxedo and black bowtie) seems strangely casual considering all the ruckus going on around his family, though it’s somewhat justified in that he’s only two years old and probably doesn’t get the intention of being laughed at instead of being laughed with. This isn’t the first time the Humberside Boys have been on the receiving end of embarrassment – indeed, whenever their plans of evil fail, they rightly get humiliated, and Grimsby does of course play a part in embarrassing his parents on a daily basis. Being villains isn’t all it’s cracked up to be for the Humberside Boys sometimes – including this time. Ever since its theatrical release last July, the Disney/Pixar movie Inside Out has practically taken over the way I think of emotions and how they work. While I obviously still know the inside of our minds isn’t like that scientifically, it makes it a lot easier for me and people of my ilk to personify our emotions so we can explain them better than we usually would. This has led to me thinking up numerous ideas of crossing over my own characters with the Inside Out emotions providing their feelings as a more visual way of displaying their overall personalities. On this particular occasion, my mind first thought of Secondary School by the Sea to be crossed over with Inside Out. Dartmouth and Jollimore have a drastically large gap in between their opposing outlooks on life, Dartmouth being pessimistic and Jollimore being optimistic, so I thought the Inside Out emotions could play a part in showing off their contrasting personalities more easily than just long paragraphs of character biographies (as seen here). The emotions frolicking about on Dartmouth and Jollimore’s heads represent what they feel most (if not all) of the time. Anger and Disgust rule over Dartmouth’s mind as he’s always moody and annoyed by Jollimore’s ‘do-gooding’, and holds a pessimistic stance on life in that everything will always go wrong (which somewhat counts for Sadness, who is right under him). Fear does sometimes come into play on Dartmouth’s ‘console’ though, because of his chronic paranoia about being constantly followed and killed by his students. Jollimore, by stark contrast, lets Joy rule over his thoughts (nearly) all the time, since he’s much more positive than Dartmouth – she’s the only emotion on his head in this drawing. Of course (a little spoilers ahead if you haven’t seen the movie), Inside Out teaches us that we can’t be happy all the time and negative feelings can actually play a part in positive emotional health. In Jollimore’s case, Fear and a little tinge of Sadness will mould his thoughts if he’s worried for Dartmouth’s safety, like if he’s visiting him in hospital after one of the students’ numerous attempts to kill him has failed (but made him sustain severe injuries in the process of trying). Back in the day, I seemed to have a sort of loving inclination towards the characters from Britain Boys who shared my northern English roots, like Leeds, Hull and the Humberside Boys (whom I talked about in more detail here). The terrible two-year-old Grimsby, himself a member of the Humberside Boys, was the one out of the troublesome trio who attracted the most attention from me (possibly because my home town of Goole is located somewhat close to the town of Grimsby, separated only by Hull and the Humber Bridge). Naturally, this would lead to me drawing many artworks featuring Grimsby – usually with his parents Cleethorpes and Humberston, the other two members of the Humberside Boys – but very occasionally by himself. So I thought one day that I’d design a character wardrobe just for Grimsby (yes, even though he’s only two years old…) based on some of the imagined episodes of Britain Boys starring him. Normal (blue dungarees with a purple shirt underneath), actually shown twice! 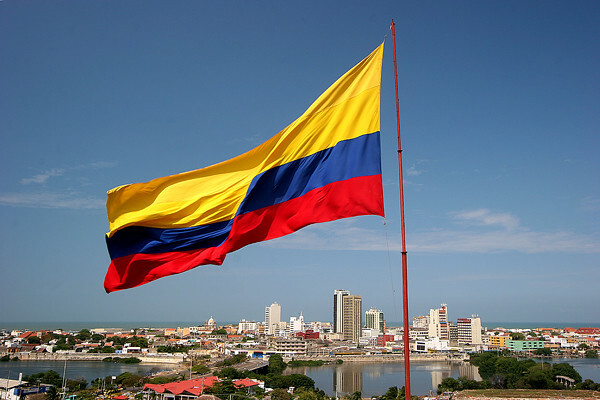 Tomorrow, Friday the 22nd of July, I’ll be flying to Colombia, where I’ll be staying for a month from the end of July to the end of August. If you’re a regular reader of mine, you’ll know that this isn’t my first time visiting Colombia – far from it. Since my first-ever visit in 1997 as a tiny two-year-old (when I began drawing), I’ve re-visited Colombia about seven times, including the brief time I lived there between 2006-2007. This will be my eighth time travelling to the country, and it’s very unlikely that I’ll ever stop visiting it anytime soon, as most of my mother’s family (she’s Colombian) still lives there. Since I’ll be holidaying in Colombia for a whole month (as opposed to just a week in Canada), you may find that I might not be updating as often as I would back home, possibly due to being outside more frequently and probably not having a scanner at hand to digitize any new drawings I create while away. This is why I’ve obtained a new art journal to record any drawings I create on holiday and post them onto both my blog and other social media channels, so you can at least see how I’m honing my creative skills while I’m away from my desk. And I’ll obviously still continue writing all the stories I’ve commenced writing on, like Life is a Beach. 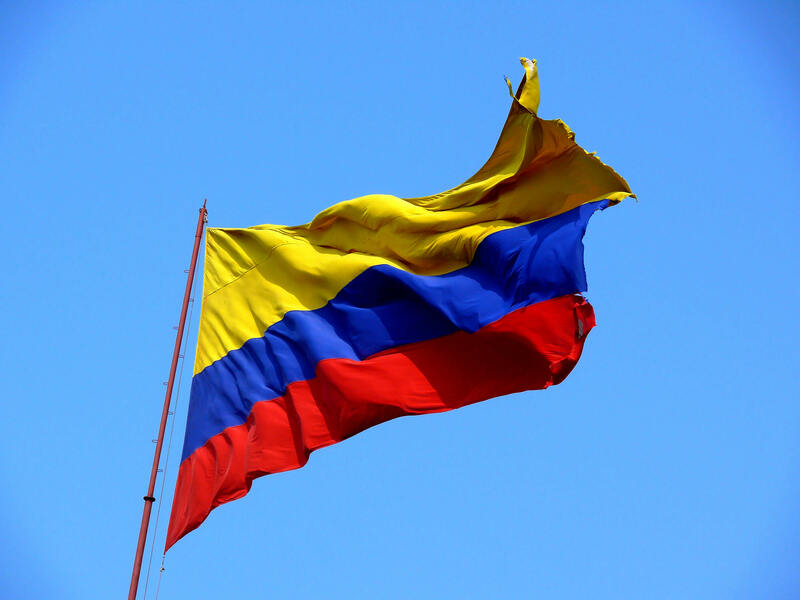 Unlike in Canada where I updated my blog with my travel experiences every day, in Colombia my blog will instead be updated weekly due to the longer holidaying period (it would be tiring for me to update it every day for an entire month). They will most likely be scheduled by me to help keep the routine consistent just like it would be back home in England, and the same will also apply for the weekly art exhibitions (I always aim to have them up every Sunday, or Monday at the latest). I’ll soon enough be back to my normal drawing and writing routine, but for now I’ll be off to once again savour Colombia’s great weather, food and people!